Ah, the inner editor. She’s so helpful when you want to be eloquent. But when you’re drafting she can be the bane of your existence, especially if you ever want to finish a manuscript. If your inner editor is anything like mine, she’s anxious and picky and painfully overbearing. She insists that everything be perfect, so perfect that she makes it difficult to move on to the next scene, or even the next sentence sometimes! If you take a step back from your frustrations for a moment, you can see that your inner editor is just trying to be helpful. But she can kill your momentum and your self-esteem, getting in the way of your ability to complete a project. Here are three ways to turn off your inner editor so you can get some writing done! Put your editor away – Like, physically put her away. You may want to pick an object, or draw a picture, to represent your inner editor, however you visualize her. Then, once you’ve completed it, thank her for her services and put her in a closet, or a box, or somewhere out of sight where she can’t look over your shoulder and offer criticism. You can pull her back out of the closet when you’ve finished the manuscript. But for now, she needs to shut up and let you do the work. Break down your writing sessions into manageable pieces – When you think about writing an entire manuscript (all 50,000+ words) your inner editor freaks out. There are too many opportunities to screw things up in that giant project, she says. How can you keep track of it all? 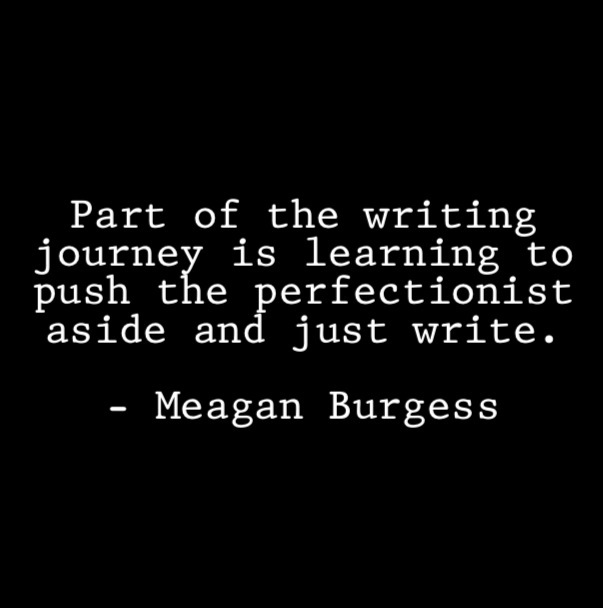 Instead, think of each writing session as a separate project. Pick a word count (500, 1000, 1667 words) and focus on that. Don’t worry about the larger picture yet. You and your inner editor can have fun working that out later. For now, your manuscript just needs to get written. Add a little pressure – Don’t give yourself too long to linger over those 500 (1000, 1667) words. The longer you linger, the easier it is for your inner editor to creep back in and start criticizing what you’ve done and what you haven’t done yet. Set a time limit and push yourself to get to your writing goal before she has a chance to stop you in your tracks! I use Write Or Die, a fabulous little app to keep my fingers flying over the keys and get me to my daily word count goal as quickly as possible. It’s not very expensive and a great motivational tool. You can try Write or Die out for free here if you’re not convinced yet. Or just set a kitchen timer and get to typing! Whatever you need to do to get the words on the page, do that. Your inner editor can be a helpful tool when the time is right, so don’t banish her forever. Just remind her that, until you’re done creating, it’s not her turn yet.